Age Limit: Candidates age limit should be 35 years for Sr.No:1,2,3,6 Posts, 40 years for Sr.No:4,5(i,ii,iii),7(i,iii,iv,vii) Posts, 45 years for Sr.No:5(iv),7(ii,viii) Post, 43 years for Sr.No:7(v,vi) Post, 30 years for Sr.No:8 Post. Age relaxation will be applicable as per rules. Educational Qualification: Candidates should possess B.V.Sc or B.V.Sc and Animal Husbandry Degree from a recognized university or equivalent, M.V.Sc in Medicine or Virology or Pathology or Bacteriology or Microbiology etc from recognized university or equivalent, experience in relevant field for Sr.No:1 Post, Degree in Aeronautical Engineering from a recognized University or Pass in associate Member ship examination parts II & III/Sections A & B of the Aeronautical Society of India, experience in relevant field for Sr.No:2 Post, Degree in Engineering in Aeronautical or Electrical or Electronic Disciplines from a recognized University for Sr.No:3 Post,Bachelor’s Degree in Engineering/ Technology in Civil Engineering/ Environmental Engineering/ Public Health Engineering from a recognized University, from a recognized University for Sr.No:4 Post. For Other Posts Qualification Notification. Selection Process: Shortlisted candidates will be called for interview or written test. Application Fee: Candidates should pay Rs.25/- only either by remitting the moneyin any branch of the SBI by cash or by using net banking facility of the SBI or by using visa/ master credit/ debit card. SC/ ST/ PH/ Women candidates are exempted from fee. How to Apply: Eligible candidates may apply online through the website http://upsconline.nic.in/ on or before 11-09-2014 by 23:59 Hrs. 1. 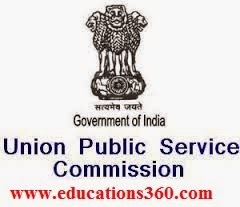 Log on through the website http://www.upsconline.nic.in/. 2. Click on the “Online Recruitment Application (ORa) for Various Recruitment Posts”. 3. Select the appropriate post & click on the “Apply Now” Link. 4. Click on the “New Registration”. 5. Fill the form with all the relevant details & submit the application form. 6. After successful registration, a unique registration ID will be allotted, note down the ID & password. 7. Now fill the personal profile, contact details, age relaxation, if applicable. 8. Now fill the details of qualification, experience. 9. Now fill the details of Professional Registration, Language, Miscellaneous Module. 10. Now candidate have to choose the Recruitment Test Centre. 11. Now candidates have to upload documents in Document Upload Module. 12. After uploading photograph & signature preview the ORA form and check the details carefully. 14. Candidates can Pay Online using the Internet banking facility in SBI or other associated banks. 15. Here the Transaction ID & Date of Registration details will directly uploaded automatically. 17. A transaction ID will be given, again revist the website and click on the “Click here to view your Previous/ Currently active applications”. 18. Log in by registration ID & password, candidates can see “My Active Application (My draft Application)” link. 19. Now fill the details of transaction ID and Date of Transaction if paid through cash. 20. Click “Continue”, check the details of fee and submit the application. 21. Now take the printout copies of application attach the attested copies of all documents and keep it for future use. Last Date to Apply Online: 11-09-2014 by 23:59 Hrs. Last Date for Printing of Online Applications: 12-09-2014 by 23:59 Hrs.